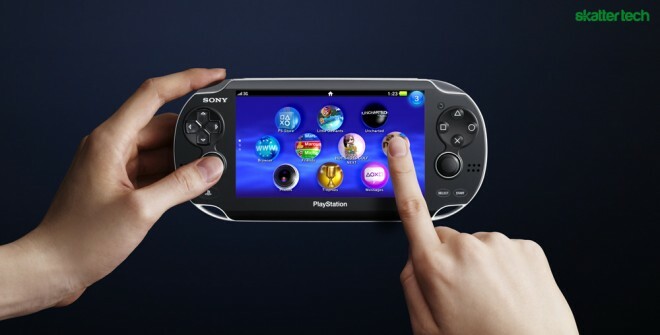 In January, Sony Computer Entertainment held a press conference to announce the Next Generation Portable (NGP). The successor to the PlayStation Portable, this new gaming device will have a Quad Core ARM Cortex A9 processor, SGX543MP4+ dedicated graphics processor, and a 5 inch OLED multi-touch capacitive screen. Although these features are just the tip of the iceberg, amazing specs can only go so far. Back in December 2004, the original PSP-1000 just arrived in Japan, and it was much more powerful than its Nintendo counterpart. In the end, the DS sold almost 145 million units while the PSP could only muster up half that amount. This clearly shows it takes more than a great spec sheet for a device to sell. If Sony wants to present itself as a real contender in the portable gaming market, they will need to incorporate these three fundamentals. The original PSP came to America in March 2005 priced at $249. At the time, consumers could buy a DS for $100 less, but the PlayStation team seemed to believe that people would pay for a product with more raw power. However, the two to one ratio of DS’s to PSP’s sold showed that gamers chose affordability, and Sony’s device fell flat. Sony cannot afford to make this mistake again. If the NGP is going to be a winner, they need to give it a more affordable price. This may become problematic, however, because high performance specs tend to equal high cost. A portable gaming device with a Quad Core processor and a dedicated GPU could give it graphics on par with next gen consoles like the PlayStation 3. With such capabilities, it is hard to imagine the price falling below the $250 estimated by industry analysts. However, even this projected cost seems too generous. Considering the PlayStation 3’s original 20 GB and 60 GB models were priced at $499 and $599 respectively, it is unlikely that Sony could pack the power of the PS3 into a 7.5 inch device, price it at $250, and turn a profit. Although it is expected that E3 will reveal the truth, I predict a price point between $300 and $350. If my speculations are proven true, this would make the device $100 more than the 3DS and the past could repeat itself. What about Apple and Android? Although these two devices are not dedicated gaming systems, there are plenty of apps that make both developers a legitimate force in the handheld market. For example, Angry Birds has been downloaded 12 million times on iOS and 10 million times on Android, and both App Stores have more enjoyable games for a lot less than a console equivalent. Many of the consumers that the 3DS and NGP are targeting already own smartphones that can give them their gaming fix. Moreover, Android phones and iPhones have deals with cell phone providers that cut the cost of the device anywhere from half off to almost free with the purchase of a 2-year contract. This makes the estimated $250 (or more realistic, $350) price for the NGP a lot less lucrative. In order to justify the inevitably expensive price tag, Sony will need games that no other console can match. PlayStation developers already own some of the most popular franchises making this a feasible task. Little Big Planet, Uncharted, Killzone, and God of War are all consistently solid games that, when released, are able to sell consoles. All of these games need to be available within the first three or four months of launch with at least a couple of these games available on launch day. Thankfully, it looks like Sony is thinking ahead. Many sources already leaked that the first-party releases for the NGP will be: Uncharted, WipEout, ModNation Racers, and Smart As. Although all of these games give me a new sense of hope (especially Uncharted), there needs to be high quality games from third party developers every month if consumers are going to invest in this device. I remember waiting month after month for Metal Gear Solid: Portable Ops and year after year for Gran Turismo. These delays are unacceptable because people want to see a return on their invest. If great games illustrating the unrivaled power of the device are released on a month to month basis, I know this gamer will be able to stomach the cost of the console. Betamax, MiniDisc, MemoryStick, and UMD are just a few of the many storage formats that Sony developed, and they all share one thing in common. They all failed. Aside from the Blu-ray disc, Sony constantly finds themselves creating storage formats that customers cannot get behind. 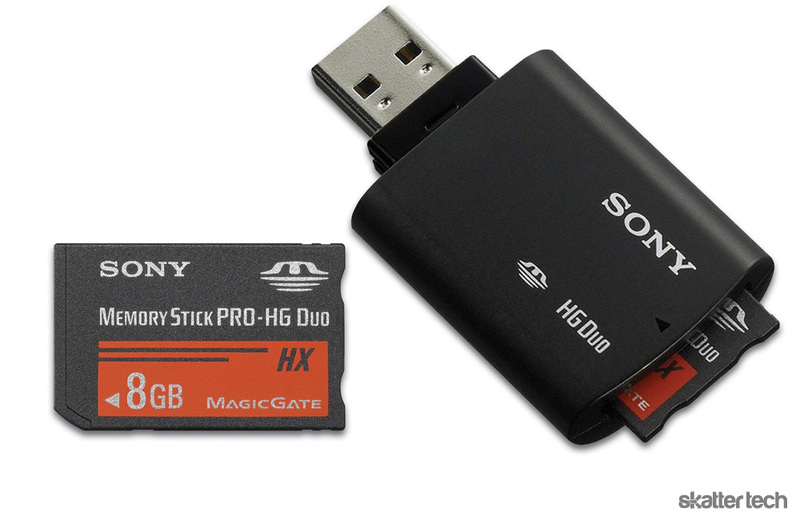 In our previous post on the NGP, we reported that Sony is considering a new flash memory card dedicated for gaming. This is very troubling. If Sony chooses to opt out of the wildly accepted SD card format, this will be another barrier to entry that could deter fans. When the first PSP launched, Sony stuck to its MemoryStick Pro Duo (MSPD) format. At the time, a 1 GB card cost about $108. If you wanted to play music or movies, you needed more memory than the 32 MB included in the bundle pack. This became a second cost that made the already expensive PSP even more difficult to afford. In addition to the cost problem, there was also the exclusivity of MSPD. As the SD card became more and more popular, its cost naturally dropped. However, because MemoryStick was only developed by Sony, the price of memory not only decreased at a glacial rate but no other companies actually used the card. It made more sense for consumers to just dump Sony and stick with other competitors. What Sony needs to do is follow smartphones like the HTC Thunderbolt. Include an 8GB internal SSD hard drive and allow the possibility of memory expansion using SD or microSD cards. If they do this, it would go against Sony’s previous track record of launching new devices with brand new formats. However, this would also reduce cost and hassle on the customer end making the device more accessible for fence sitters. With E3 only a few weeks away, you can be certain that Skatter Tech will have a more in depth preview of the Next Generation Portable in the near future. As it stands, Sony needs to at least incorporate these three marketing and development strategies if they want the NGP to do what the PSP could not: succeed. This whole article is good but every time you said the psp failed or didnt succeed, you mad yourself sound ignorant. No offense but has it occurred to you that the psp has sold close to 70 million units. (i didnt say 70 million exactly but close to 70 million) Now I dont know what you call succeeding but selling almost 70 million units is far from failing. It pisses me off when people say the psp didnt succeed. Also yes i know the ds has sold almost if not double what the psp has sold but that just means they both succeeded. The ds just succeeded more. But again the psp is far from a failure. How can a failure set selling records? I completely agree with you that the PSP’s 67.8 million units sold is commendable, but, as I said in the article, Nintendo sold almost 145 million units and a “two to one ratio of DS’s to PSP’s sold” is pretty bad. Yes, 67.8 million is great, but being a 2-1 dog is bad even if its on a scale of millions. Even if the 2:1 ration is bad, sony still did make profit. The psp didnt fail like you said in the article. The article is alright but your opinion about the psp’s failure is an opinion and not based on fact.the psp did not overtake the ds due to lack of third party software sales, this was mainly becasue the device was hacked early in its life cycle thus preventing third party publishers creating games on the psp. Not only that, this was sony’s first attempt at a handheld market and 67 million is not bad at all!! If sony did sell psp similar in price like the ds or even the SAME PRICE!! then sony would not make any profit and that would be ridiculous. Yes the ds was also hacked but nintendo had been been in the handlend market for over a decade, game boy, game boy advance etc. so thrid party developers still made games because they made profit and nintendo brand was well established in that sector of the market. All im saying is that the psp did not fail, like you said “pretty bad” but I would not consider it a failure. What I call a failure is the virtual boy, ngage and atari Jaguar. failure in marketing is a product that did not sell particularly well and made a huge loss, as well as loss of customer satisfaction. PSP does not fall into that category. Even the nintendo gamecube sold considerably less something like 21 million while its competitor sony ps2 sold over 120 million. Some say nintendo gamecube was a failure but is wasnt because nintendo still made a profit. there motto is to sell for profit not loss. But it did not have a lond life cycle. In a competitive business world, a product fails when it creates opportunities for its competitors. All the features that iPod and iPhone are viewed as innovative were all available within the design of the PSP and were successfully hacked by users who are skilled in their art. The fear of cannibalizing Sony’s other successful consumer appliances, music, video/media businesses only demonstrated the lack of foresight in Sony’s Marketing and leadership to fail a product that is indeed innovative and ahead of its time – inclduing APPLE.